The ALBERG 35 is a fully found offshore blue water passage maker. SAGA was built in 1964 in Bristol, RI, Hull # 114. 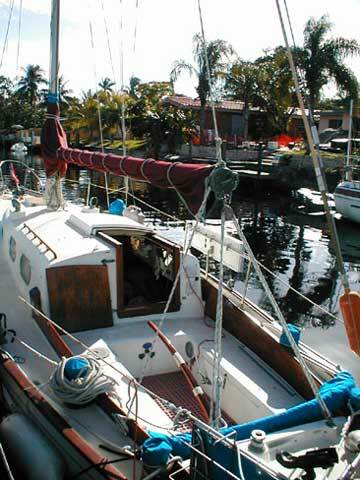 Purchased in 1993 from her original owner, she was built under his watchful eye. He had a custom interior installed, which we have painstakenly cruiser-ized' to add additional storage and to make her more comfortable throughout. 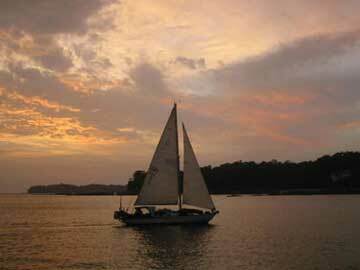 SAGA is a proven cruiser and has just completed a 3 year cruise from San Francisco to Miami via the Panama Canal. 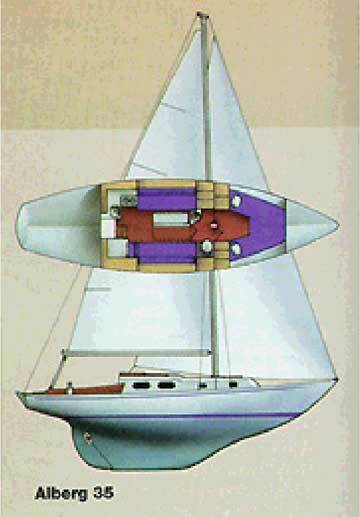 Height (bottom of keel to cabin top) 10' 6"
Mast Height (from WL) 44' 6"
Location of Bottom of Rudder Stock Measured from Stern 11' 6"
Keel Extends forward Horizontally Measured from Stern 18' 0"
Saga features a large V berth with insert that expands space comfortable for 2, Dinette lowers to sleep 2, Starboard settee will sleep 1, and Qtr berth will sleep 1 as well. Interior is well thought out and designed by owner to have plenty of storage and usable space. 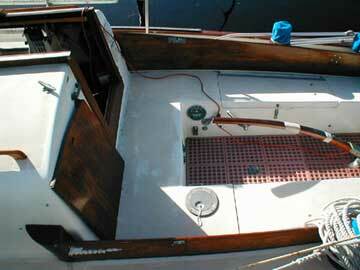 Head is aft of V berth and features a Lectrasan unit with a Raritan Head with macerator and Y valve. Equipped for cruising SAGA features Navico Intergrated Corus C 400 M multi-unit, C600AD Programmable unit, ATM601 Wind Indicator, Tiller Pilot w Remote, Apelco LXL9500 VHF, Magellan 5000D GPS, Depth SOunder, Blaupunkt stereo with 10 CD changer, Radar Reflector, EPIRB, Tri color light and nav lights. Galley features 2 burner alcohol stove with oven, Pressure water system with filter and timer feature, Ice Box, Watermaker-power survivor35 (may need some work. 4 house batteries, 1 starter battery, Guest Battery charger 15 amp, Solar panel charging system, Expanded scale ammeter with 3 bank selector, Boat is wired for 12 volt systems including lighting, and many outlets for 12 volt accessories, Numerous fans keep this boat breezy and cool. 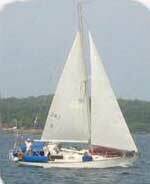 Sail inventory include, Main sail with Roller reefing Boom, Boom is Spruce and mast is Aluminum, 160 Genoa, 95 Battened Jib, All rigging replaced in 1998 with 1/4" stainless. Many extras include, full dodger and bimini with mosquito netting, Charcoal grill, All up to date coast guard approved safety items, pfd's, 2 bilge pumps, 35# CQR with Manual Windlass and bow roller, 200' 5/16 chain, 2 MOB Horseshoes and pole with strobe, Salt Water washdown. Dinghy and OB are available but not included. Westerbeke 4-107 runs strong and was rebuilt in 1998, Fresh water cooled, and recent update in 2004 with new heat exchanger, water pump and Cutlass bearings. Transmission, Shaft and propeller replaced, in 1993. 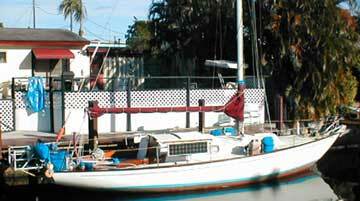 S/V SAGA has been lovingly & professionally maintained and is in great condition. New epoxy barrier coat bottom job completed in July 2002 and bottom paint. Wood is protected. We finally sold SAGA today! Please remove our ad from the for sale list. We thank you for your excellent site.